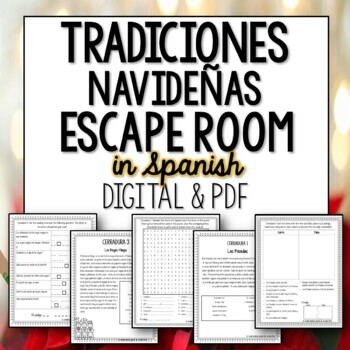 This Navidad themed break out room is an exciting learning adventure for your students. 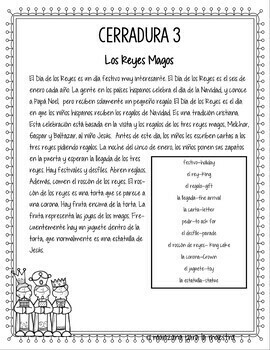 They read a one page passage about Los Reyes Magos, and another passage about Las Posadas, that use high frequency vocabulary (compatible with your comprehensible input/CI classroom!) and complete related puzzles.. The excitement keeps your students engaged and moving. This resource is unique because it does not require the additional purchase of lockboxes, locks or any other materials. Print, organize and go! 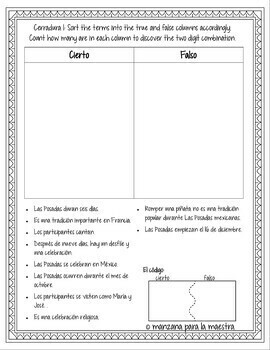 Includes vocabulary page to help students navigate the readings and puzzles. 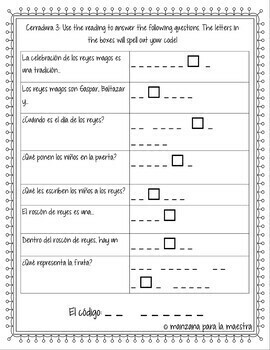 Please note that while this resource does not advocate for any particular religion, it does discuss Christian traditions, and the birth of Jesus as a historical/cultural event, as it is critical to learning about Las Posadas and Los Reyes Magos. Lock 5 - agamograph with two secret hidden messages (students fold the paper in an accordion and read from different angles). Fast finishers can use as a coloring page and classroom decor.. Please note, this file is not editable.